When tragedy strikes, should theists expect to know why? My uncle used to believe in God. But that was before he served in Iraq. Now he’s an atheist. How could a God of perfect power and perfect love allow the innocent to suffer and the wicked to flourish? Philosophers call this the problem of evil. It’s the problem of trying to reconcile two things that at first glance seem incompatible: God and evil. If the world were really governed by a being like God, shouldn’t we expect the world to be a whole lot better off than it is? But given the amount, kind, and distribution of evil things on earth, many philosophers conclude that there is no God. Tragedy, it seems, can make atheism reasonable. Theists—people who believe in God—may share this sentiment in some ways, but in the end they think that the existence of God and the existence of evil are compatible. But how could this be? Well, many theists attempt to offer what philosophers call a theodicy – an explanation for why God would allow evils of the sort we find. Perhaps good can’t exist without evil. But would that make God’s existence dependent on another? Perhaps evil is the necessary byproduct of human free will. But would that explain evils like ebola and tsunamis? Perhaps evil is a necessary ingredient to make humans stronger and more virtuous. But would that justify a loving human father in inflicting similar evil on his children? Other theists reject the attempt to explain the existence of evils in our world and yet deny that the existence of unexplained evil is a problem for rational belief in God. The central idea is simple: just as a human child cannot decipher all of the seemingly pointless things that her parent does for her benefit, so, too, we cannot decipher all of the seemingly pointless evils in our world. Maybe they really are pointless, but maybe they aren’t — the catch is that things would look the same to us either way. And if they would look the same either way, then the existence of these evils cannot be evidence for atheism over theism. The Good and Evil Angels by William Blake. Public domain via Wikimedia Commons. Philosophers call such theists ‘skeptical’ theists since they believe that God exists but are skeptical of our abilities to decipher whether the evils in our world are justified just by considering them. The debate over the viability of skeptical theism involves many issues in philosophy including skepticism and ethics. With regard to the former, how far does the skepticism go? Should theists also withhold judgment about whether a particular book counts as divine revelation or whether the apparent design in the world is actual design? With regard to the latter, if we should be skeptical of our abilities to determine whether an evil we encounter is justified, does that give us a moral reason to allow it to happen? It seems that skeptical theism might invoke a kind of moral paralysis as we move through the world unable to see which evils further God’s plans and which do not. Skeptical theists have marshalled replies to these concerns. Whether the replies are successful is up for debate. In either case, the renewed interest in the problem of evil has resurrected one of the most prevalent responses to evil in the history of theism — the response of Job when he rejects the explanations of his calamity offered by his friends and yet maintains his belief in God despite his ignorance about the evils he faces. Headline image credit: Job’s evil dreams. 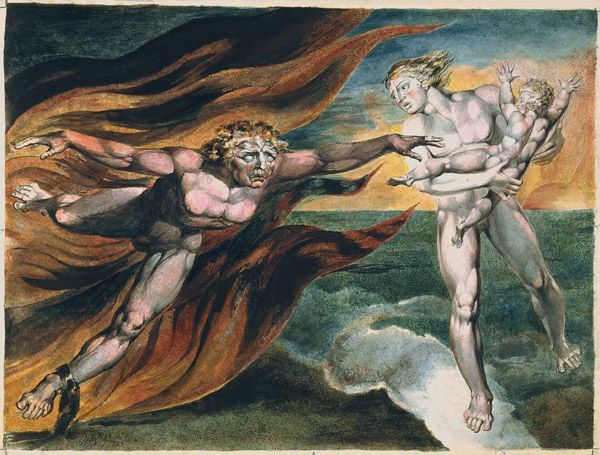 Watercolor illustration by William Blake. Public domain via Wikimedia Commons. Trent Dougherty is Assistant Professor of Philosophy at Baylor University. He works in epistemology, philosophy of religion, and philosophy of language. He is the editor of Evidentialism and Its Discontents. His other work for includes the Oxford Bibliographies on 'God' and 'Evidence'. Justin P. McBrayer is Associate Professor of Philosophy at Fort Lewis College, the public liberal arts college for the state of Colorado. He works primarily in philosophy of religion and ethics. His work includes Introducing Ethics: A Critical Thinking Approach with Readings (with Peter Markie). 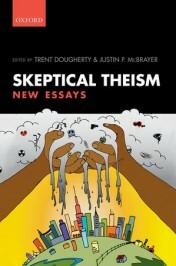 Together, Justin P. McBrayer and Trent Dougherty wrote Skeptical Theism, published July 2014.